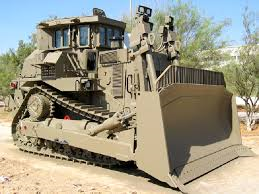 The Israeli Armored D9—nicknamed "DOOBI" (Hebrew: דובי‎, for teddy bear)— is a Caterpillar D9 armored bulldozer that was modified by the Israel Defense Forces, Israeli Military Industries and Israel Aerospace Industries to increase the survivability of the bulldozer in hostile environments and enable it to withstand heavy attacks, thus making it suitable for military combat engineering use. 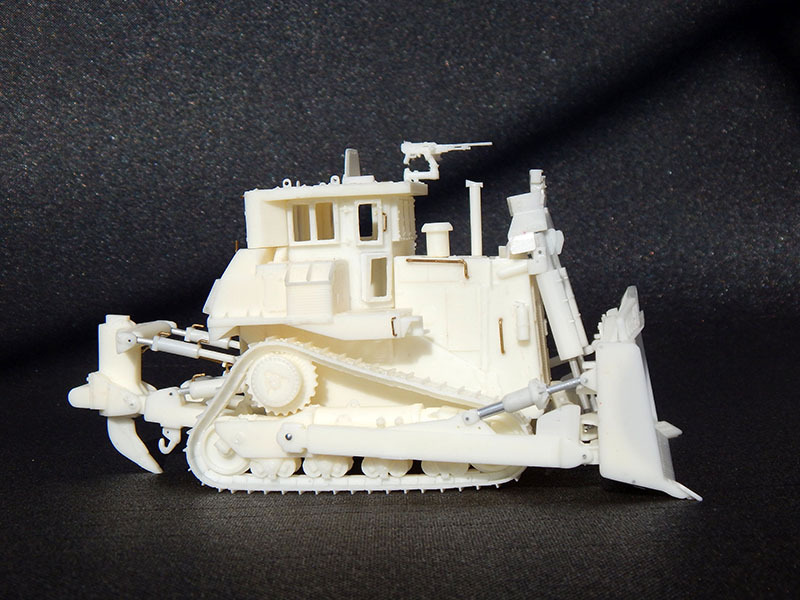 The DOOBI D9R in IDF service, has a 410 Hp and drawbar pull of 71.6 metric tons (about 716 kN). 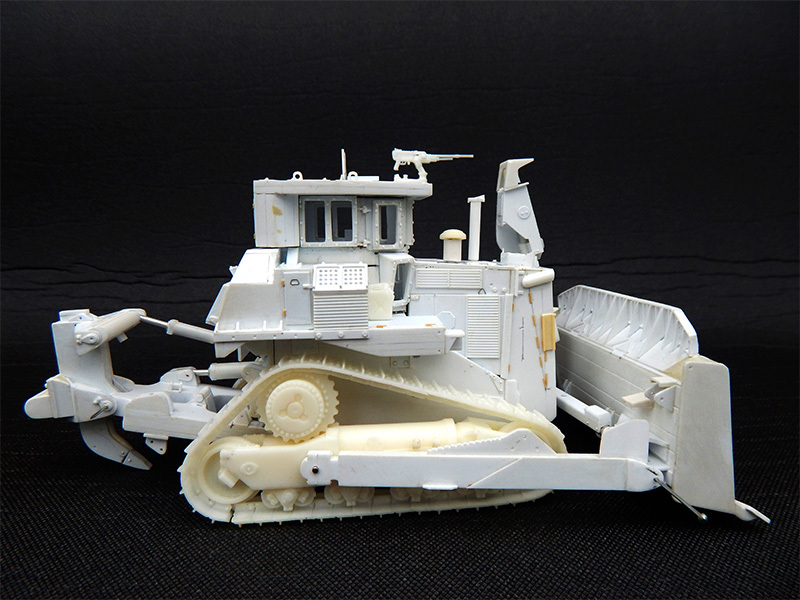 The DOOBI D9 has a crew of two: operator and commander. 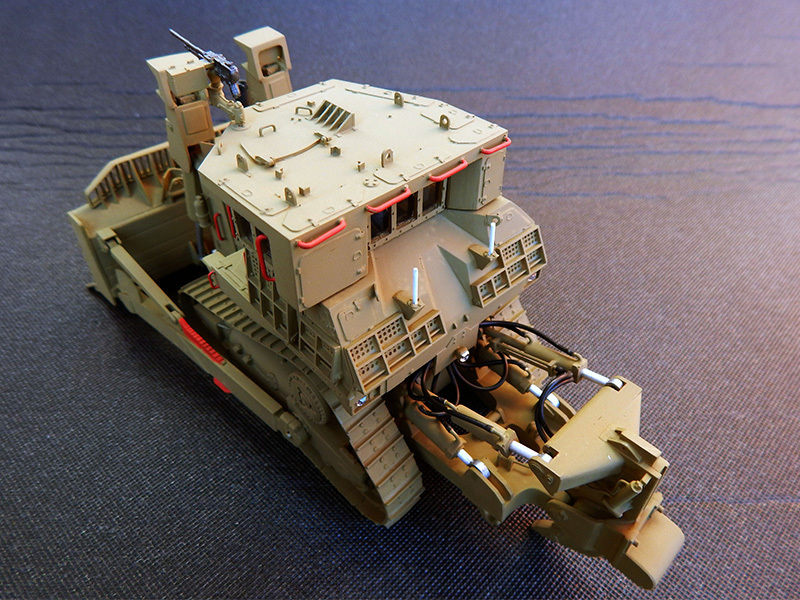 It is operated by the TZAMA (In Hebrew: צמ"ה‎ = ציוד מכני הנדסי, mechanical engineering equipment) units of the Combat Engineering Corps. 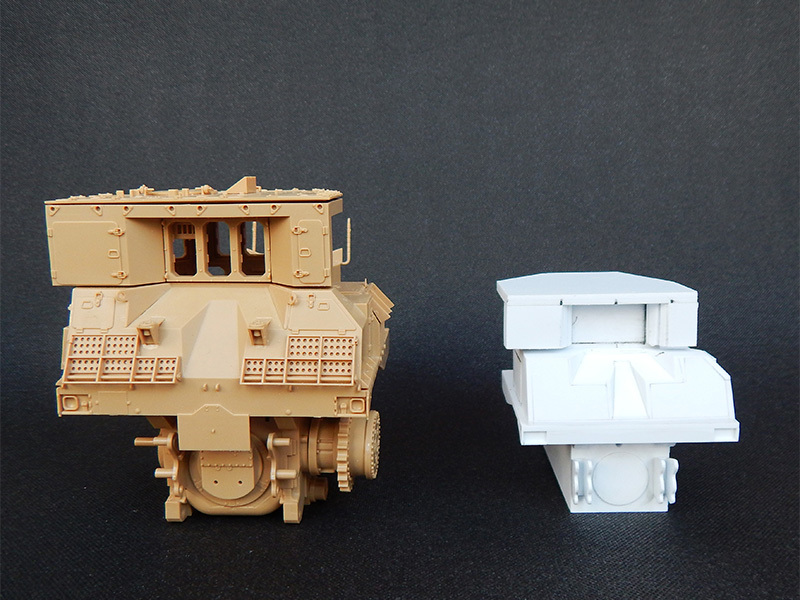 The main IDF modification is the installation of an Israeli-made vehicle armor kit which provides armor protection to the mechanical systems and to the operator cabin. 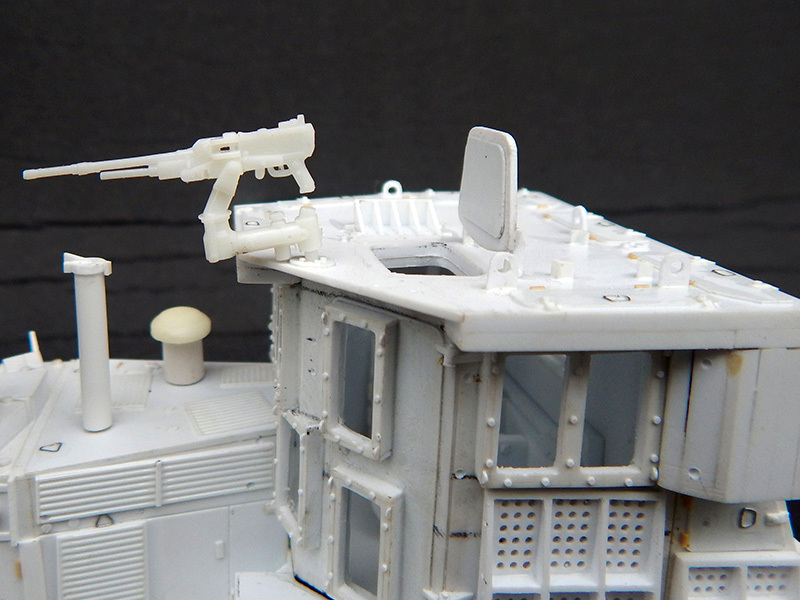 The operator and commander are protected inside an armored cabin ("the cockpit"), with bulletproof glass windows to protect against bombs, machine guns, and sniper fire. 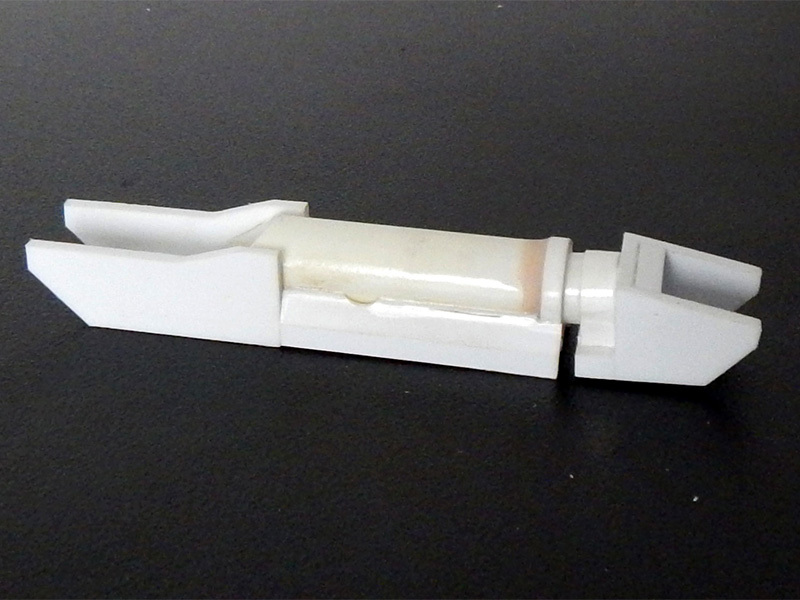 The IDF also developed and installed slat armor add-on to deflect rocket-propelled grenade (RPG) rounds. 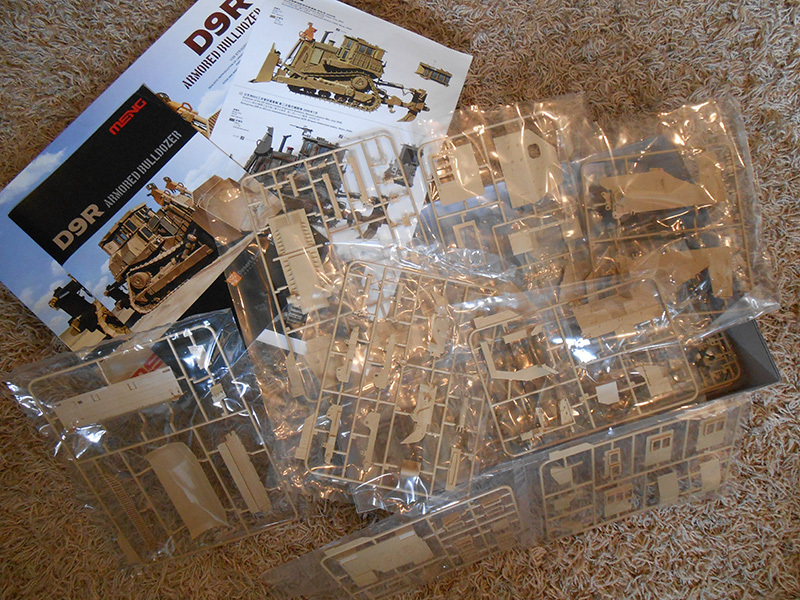 The fitted armor package adds roughly 15 additional tons to the production-line weight of the DOOBI D9R. 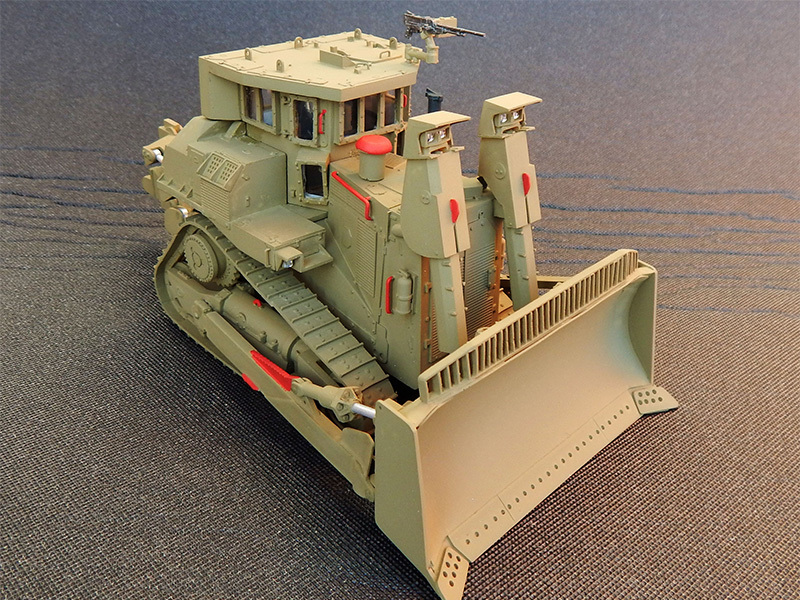 The modified Caterpillar D9R bulldozers can be fitted with disparate features, such as crew-operated machine guns, smoke projectors, or grenade launchers. 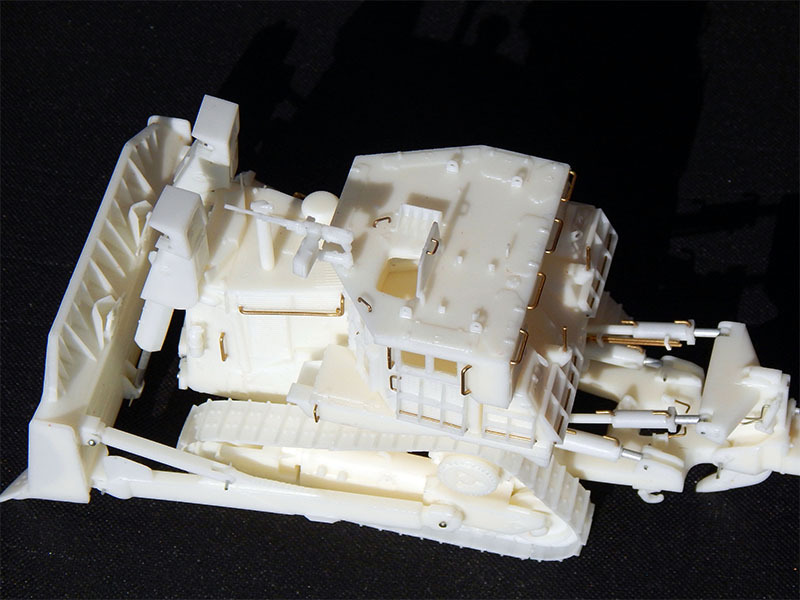 The Israeli armor and durable construction of the DOOBI D9R makes it impervious to landmines, IED and large belly charges. 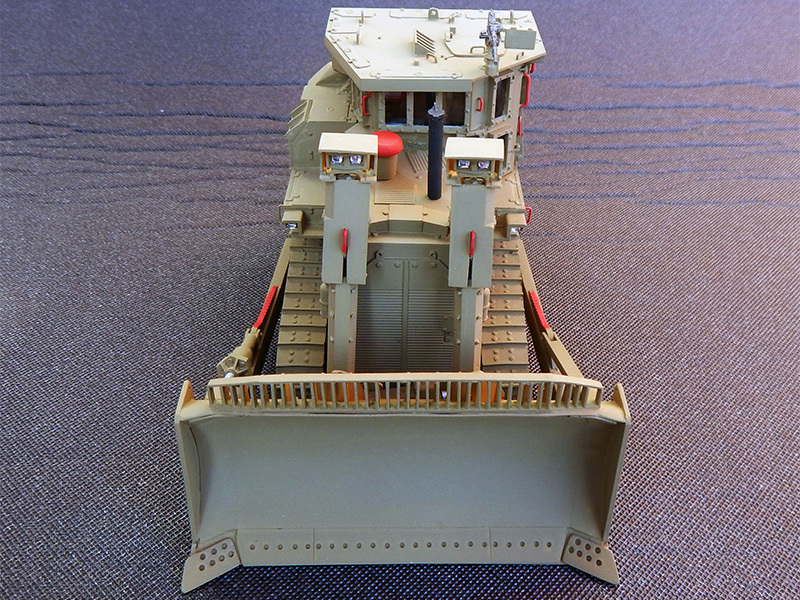 The IDF uses the DOOBI D9R for a wide variety of combat engineering tasks, such as earthworks, digging moats, mounting sand barriers, building fortifications, rescuing stuck, overturned or damaged armored fighting vehicles, clearing land mines, detonating IEDs and explosives, handling booby traps, clearing terrain obstacles and opening routes to armored fighting vehicles and infantry, as well as structures demolition, including under fire. 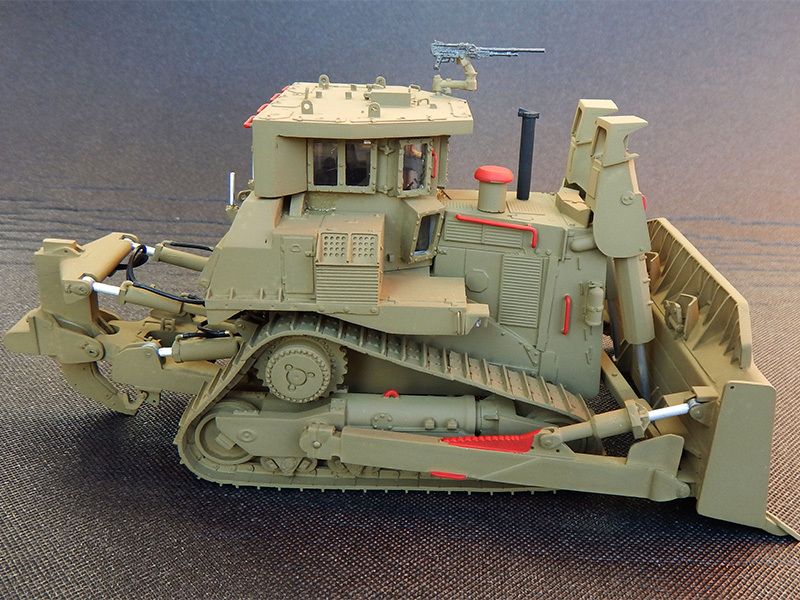 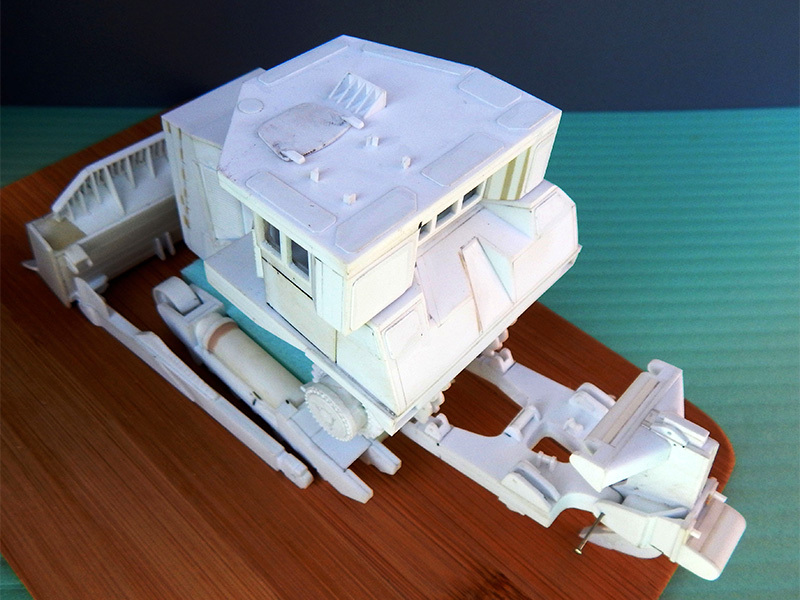 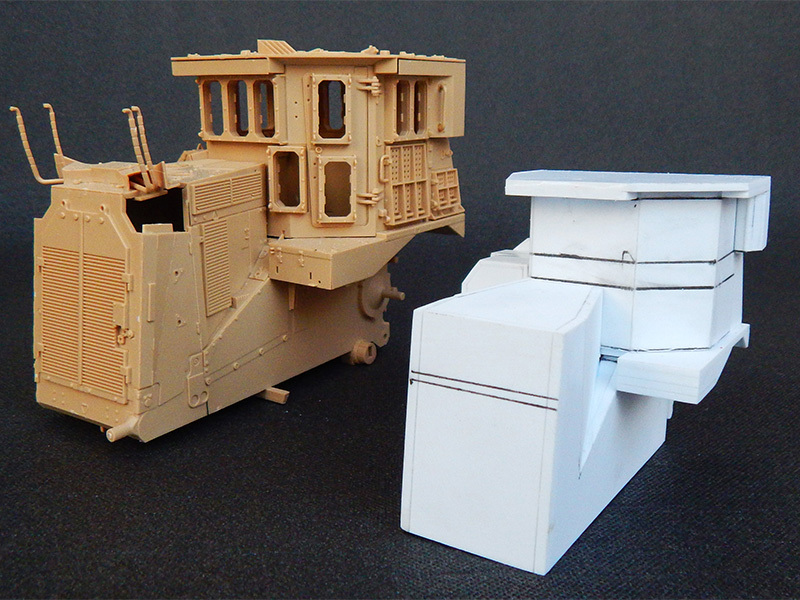 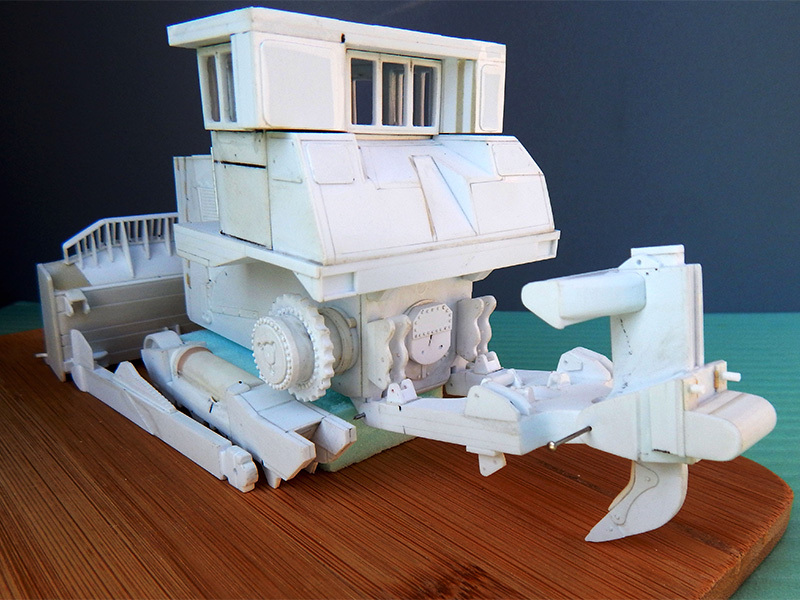 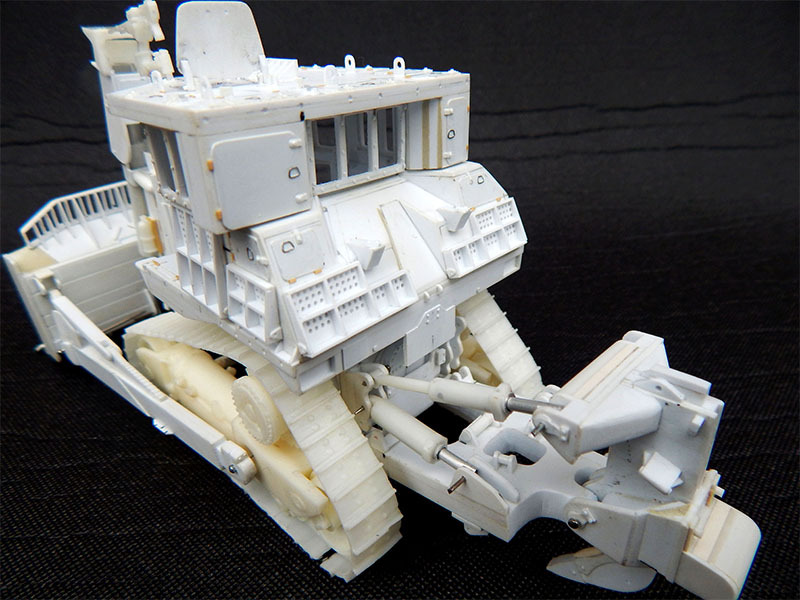 In this "Making of a ...DOOBI D9R IDF Military Bulldozer" he shows how this custom model is been achieved. 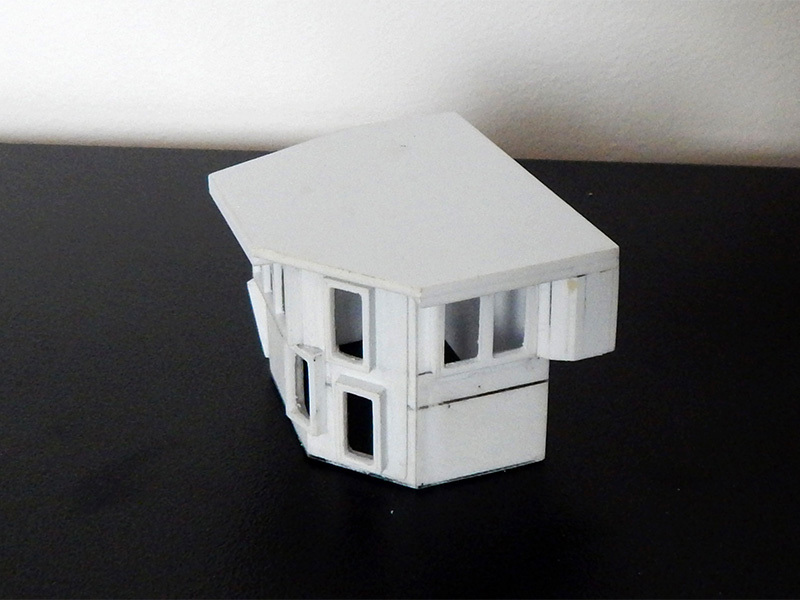 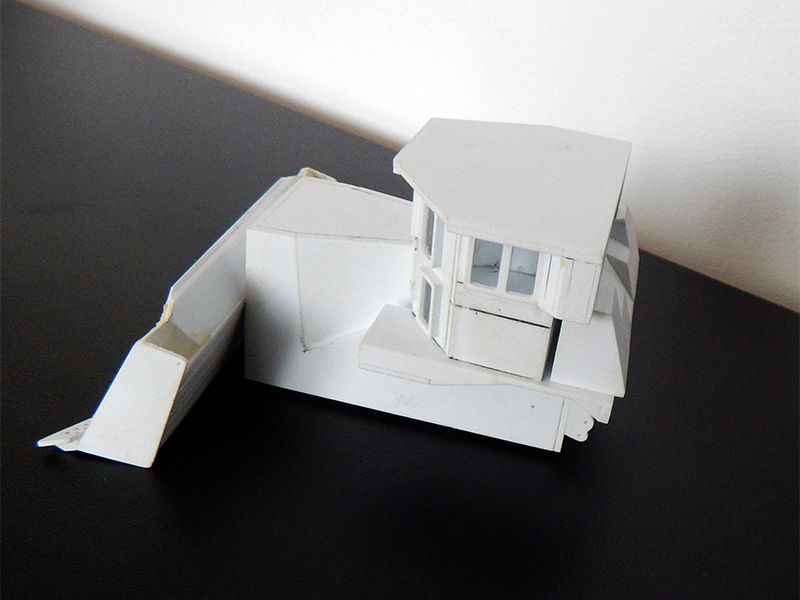 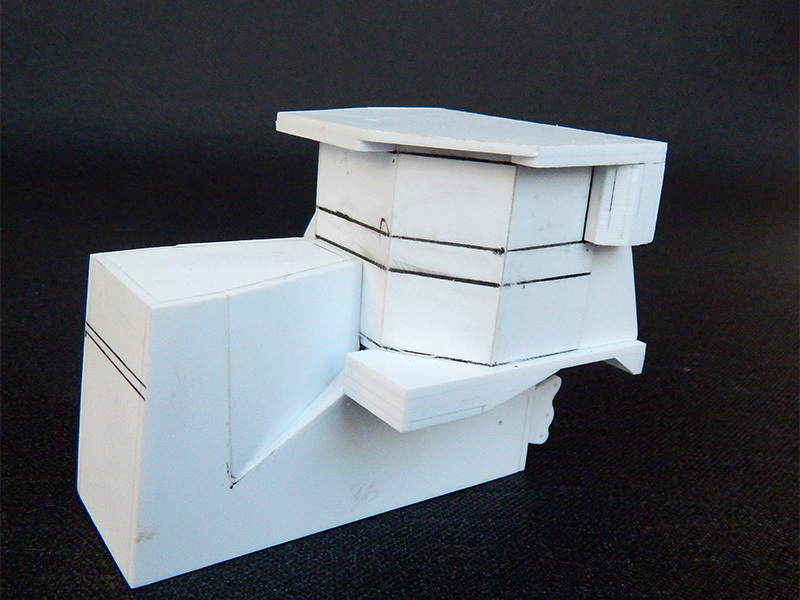 Ciprian Ursulescu has shared his building skills through its construction photos with little notes from me. 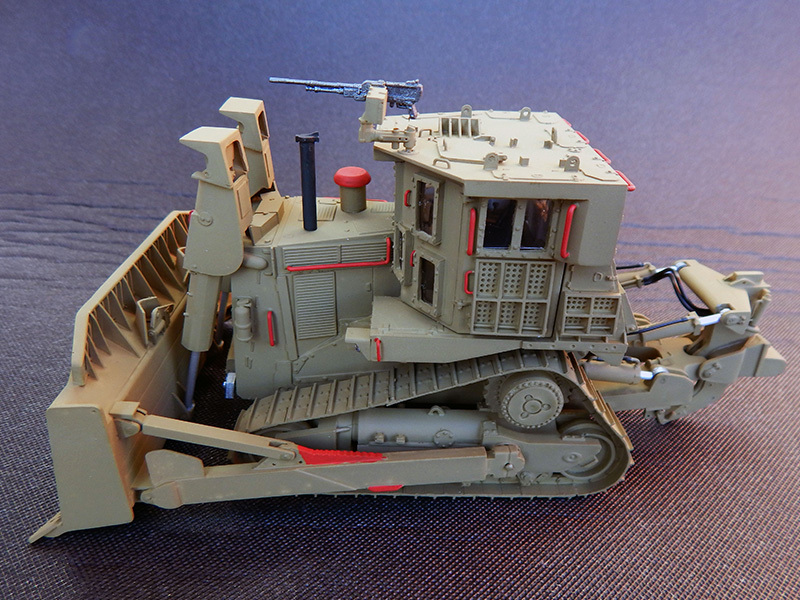 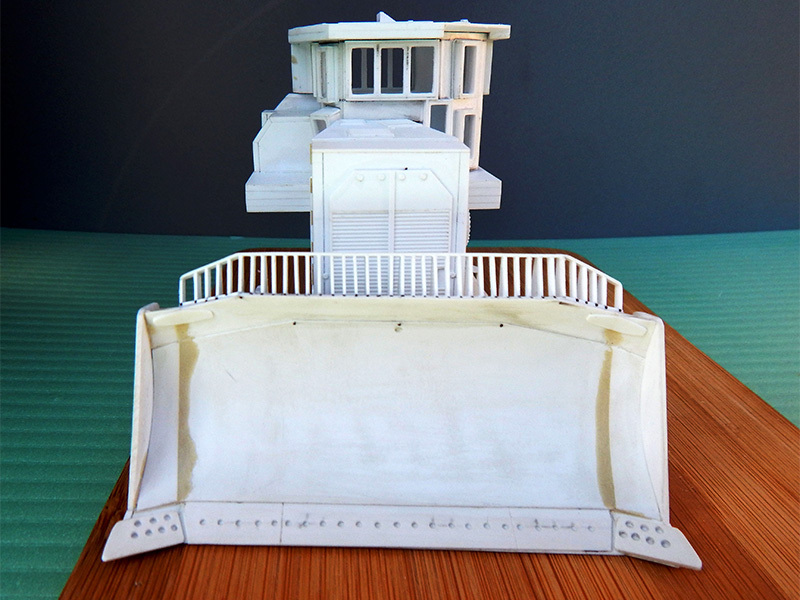 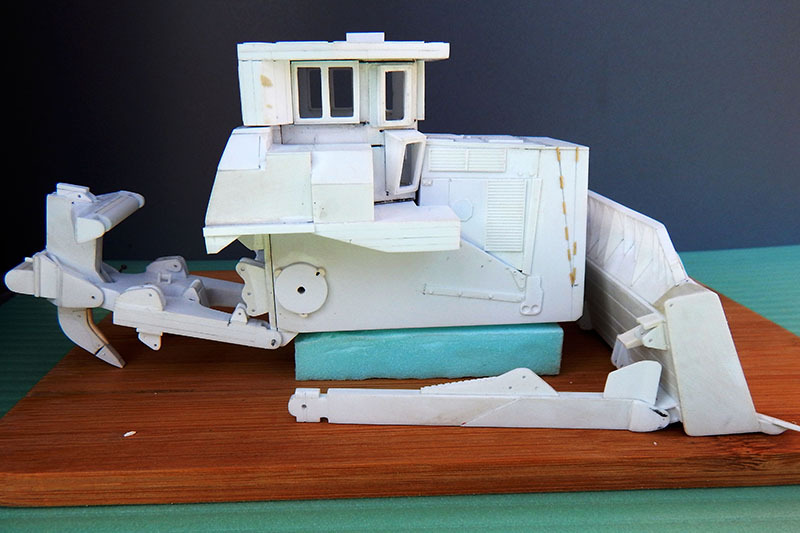 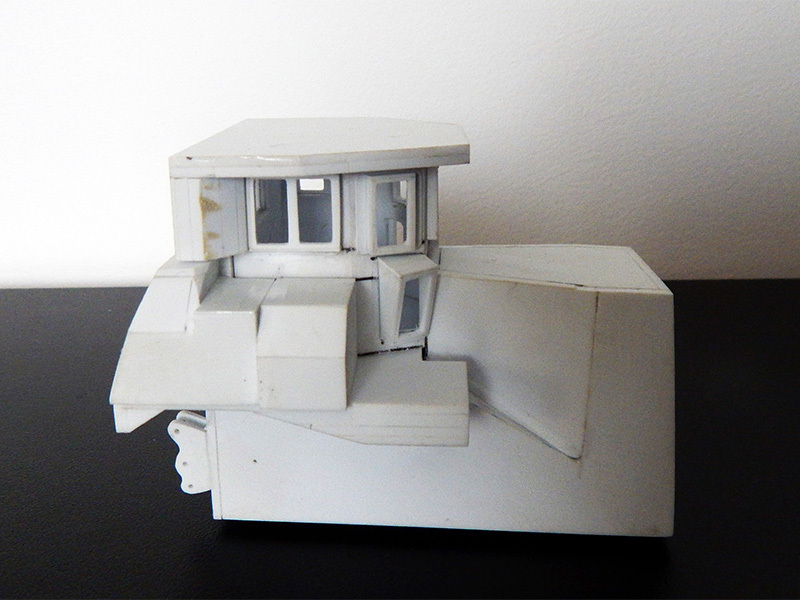 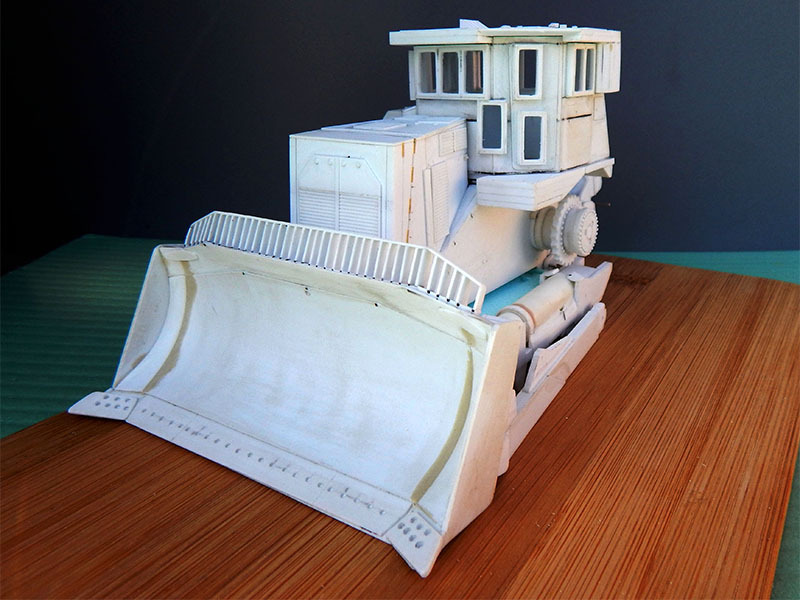 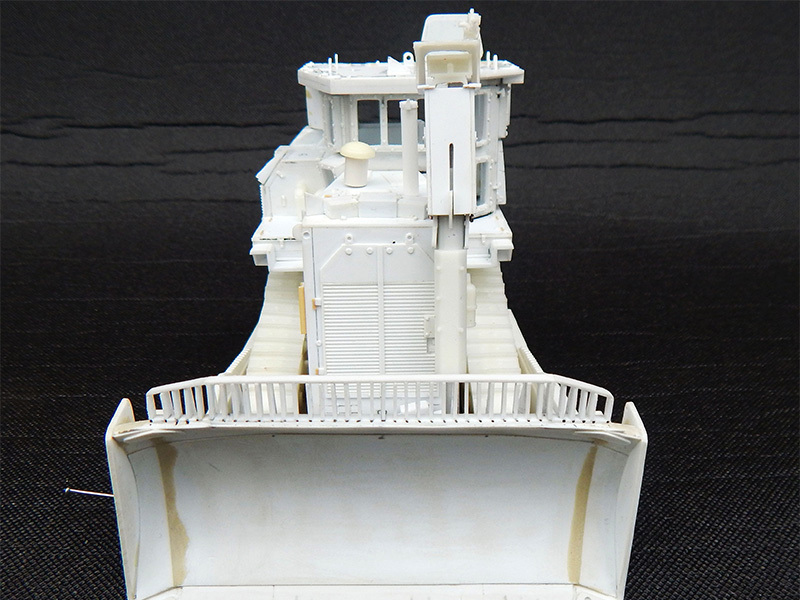 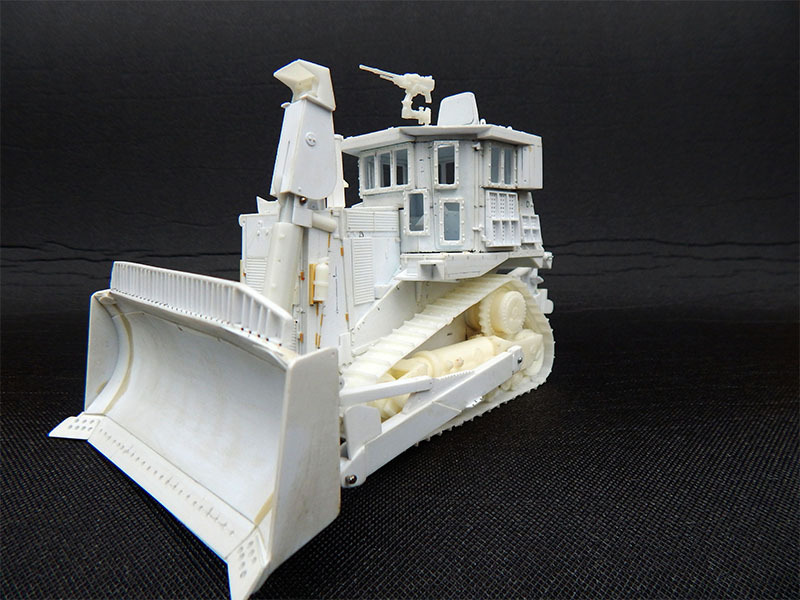 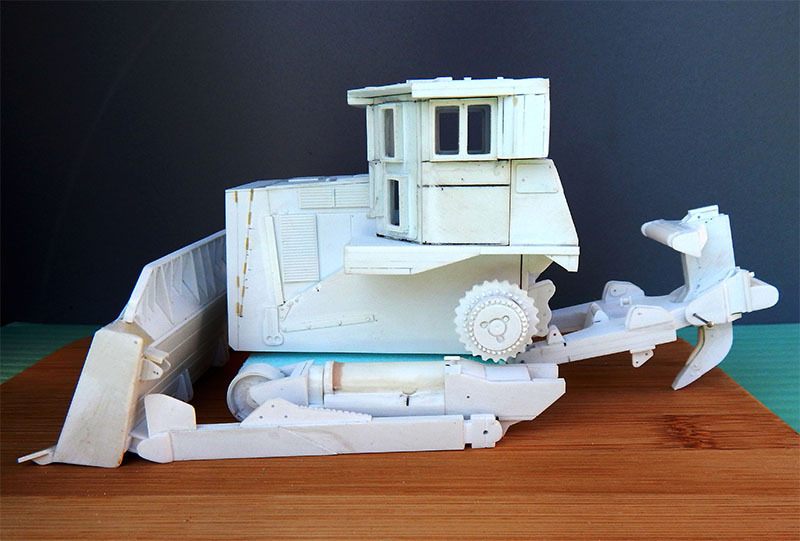 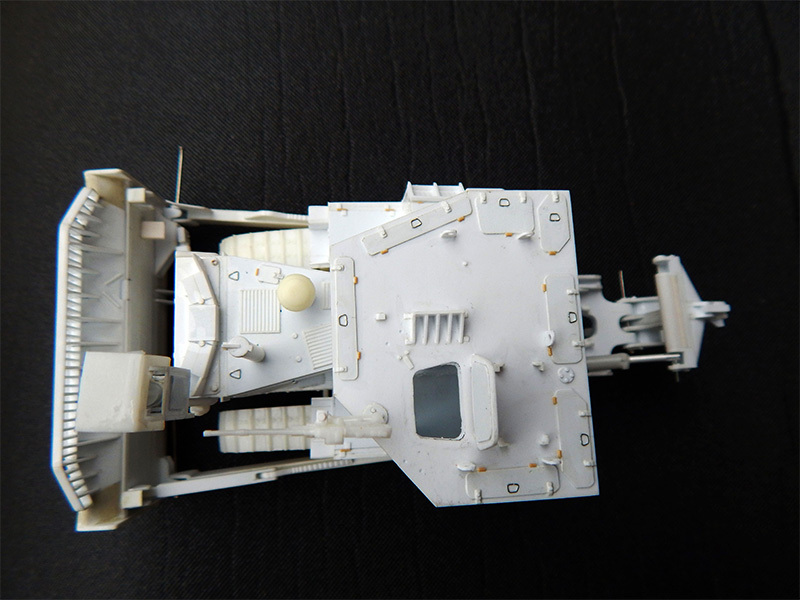 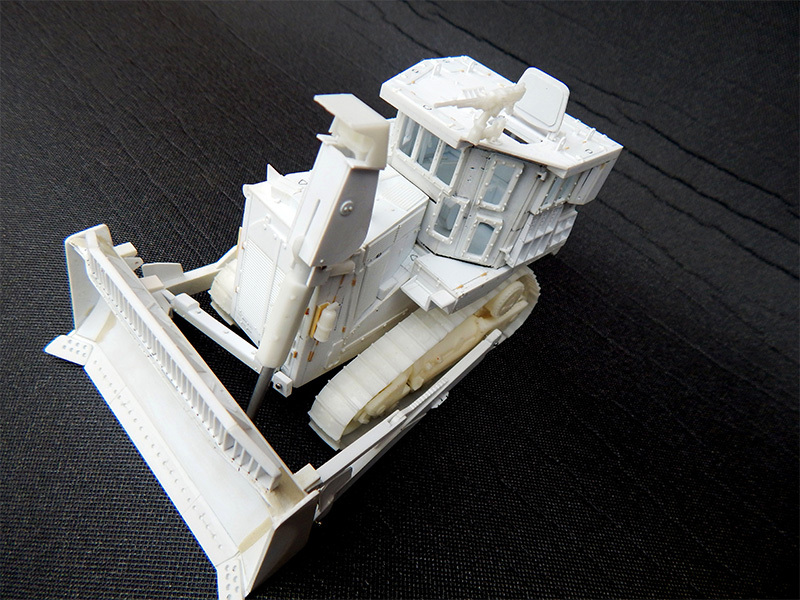 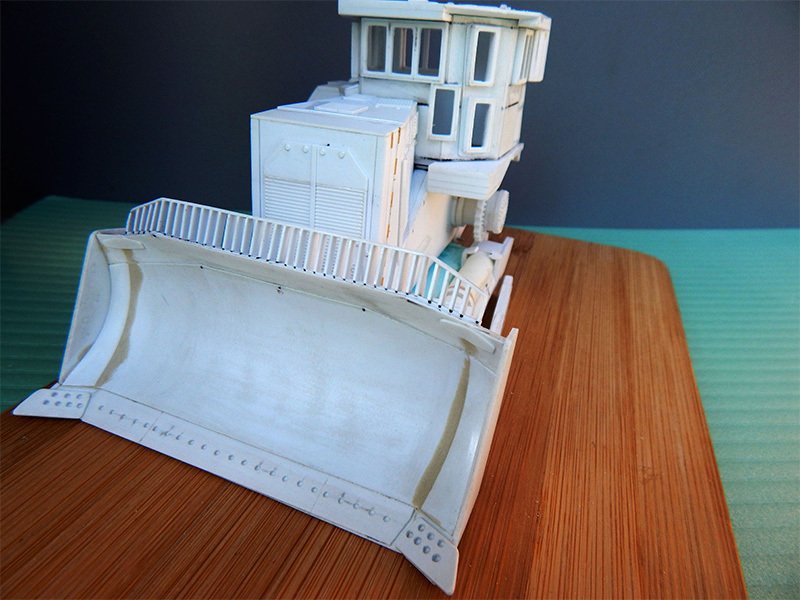 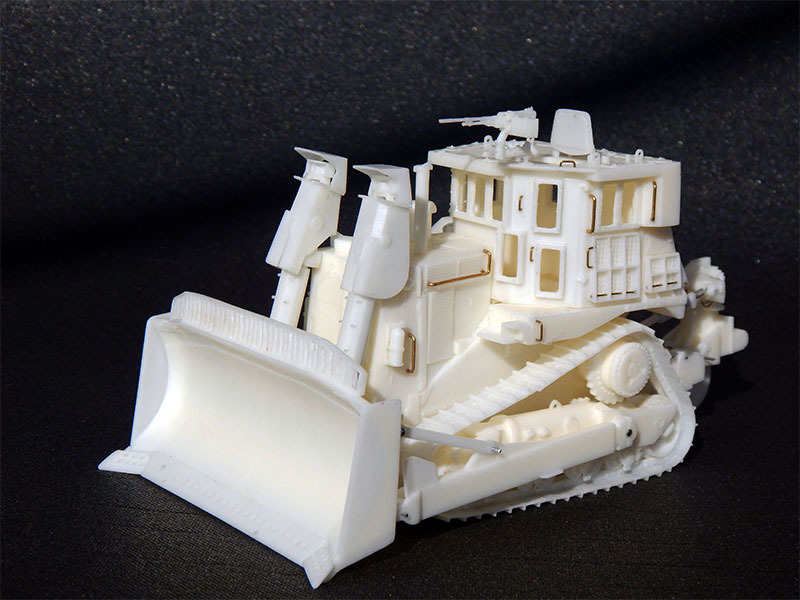 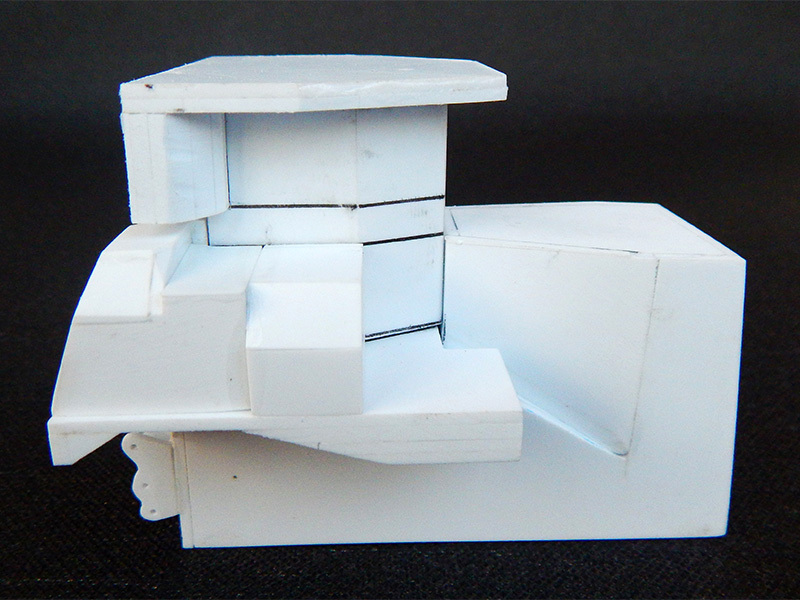 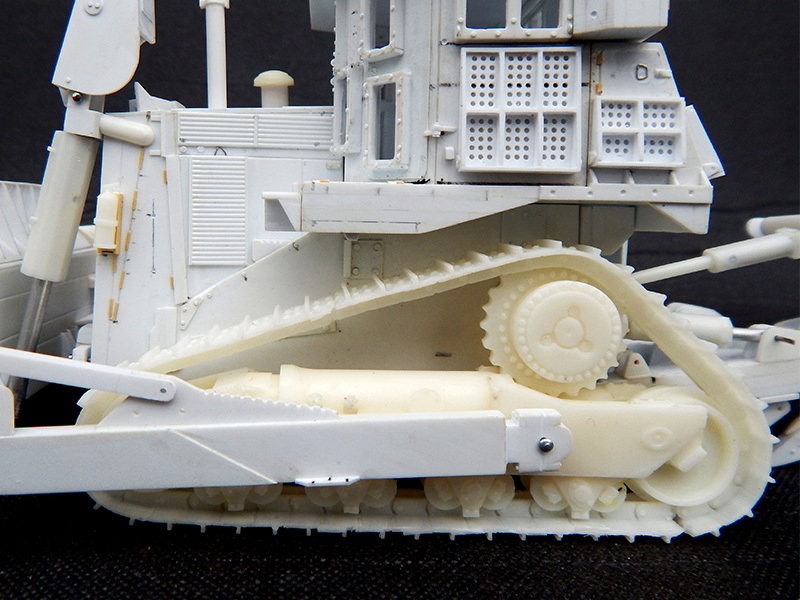 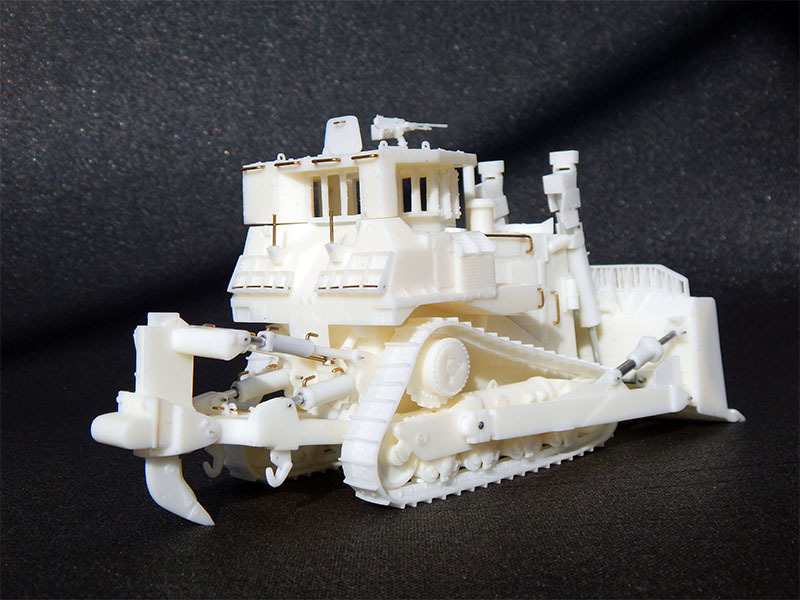 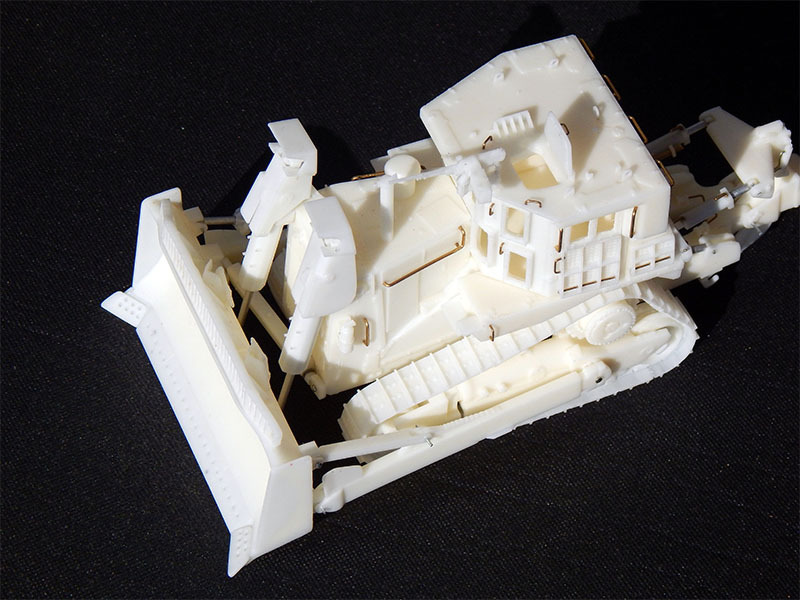 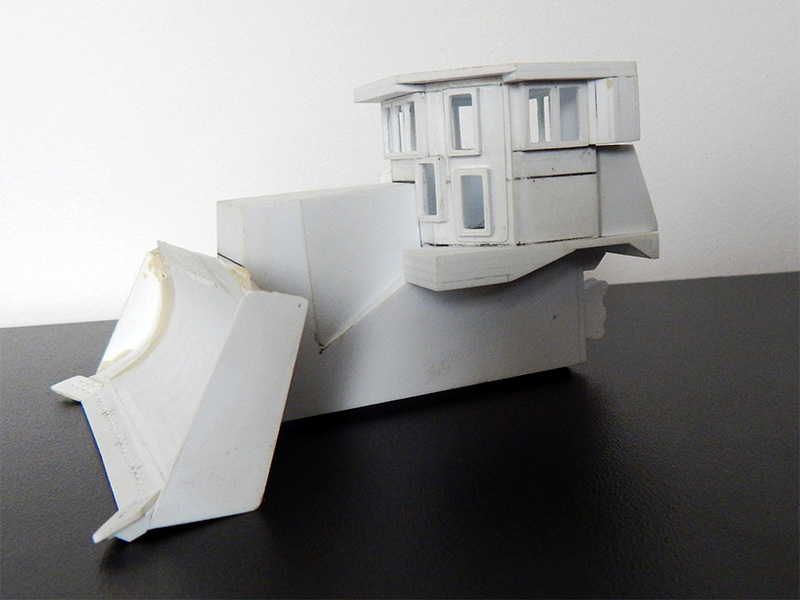 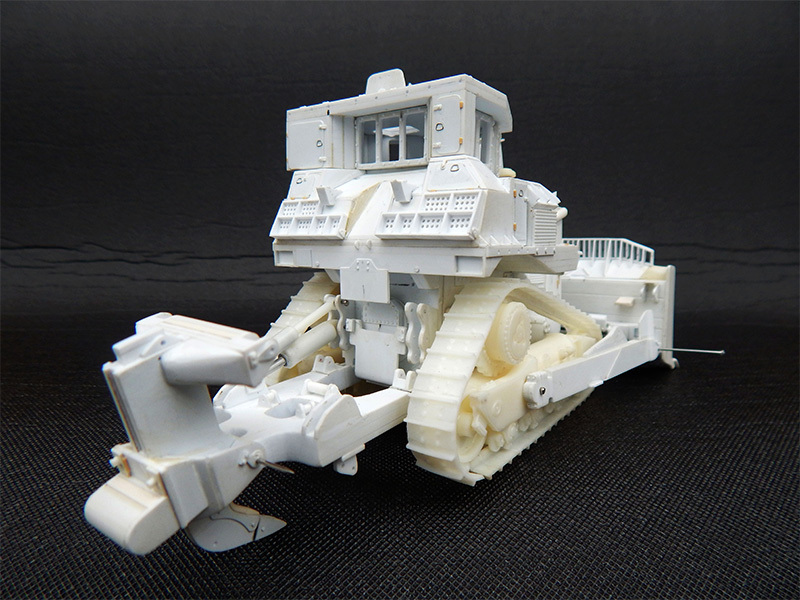 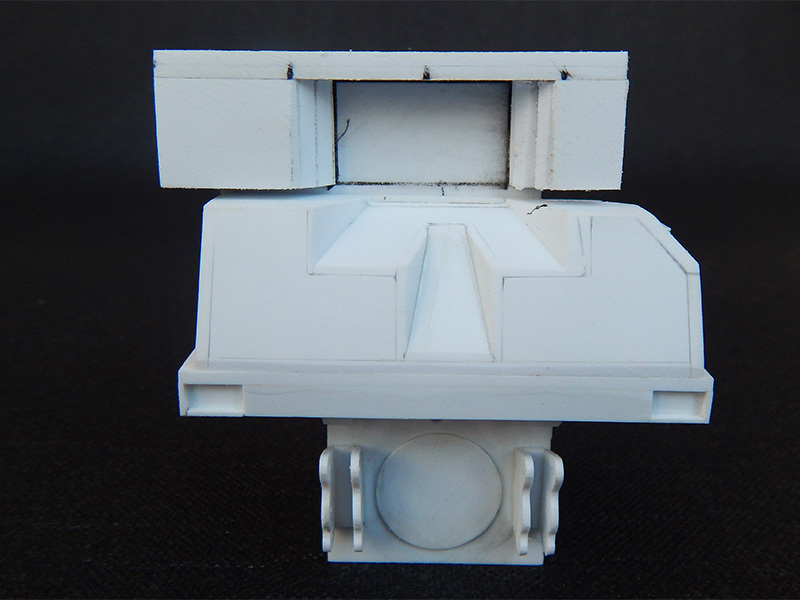 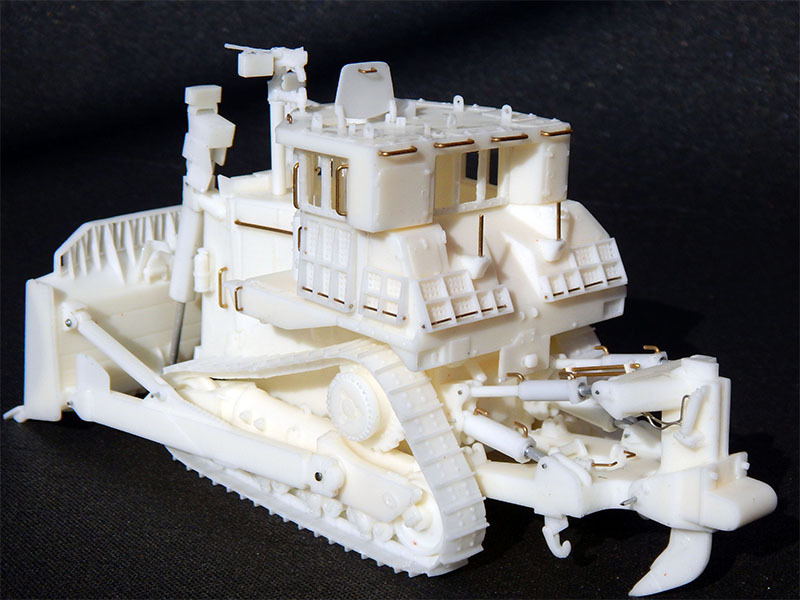 Gradually it shows you the making of a unique model of the DOOBI D9R IDF Military Bulldozer. 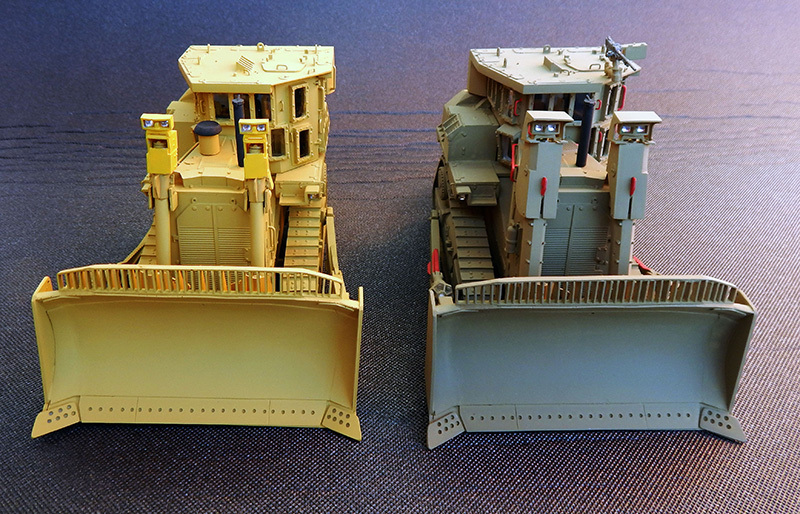 For this project Cypmodels can perfectly use the book "Doobi D9 Variants: D9 bulldozers in IDF service." 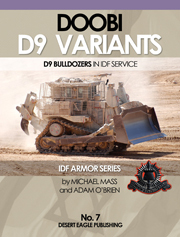 This book is part 7 in the "IDF Armor Series" of authors Michael Mass and Adam O'Brien series and is released by Deserteagle-publishing under ISBN 978-965-91635-3-3. 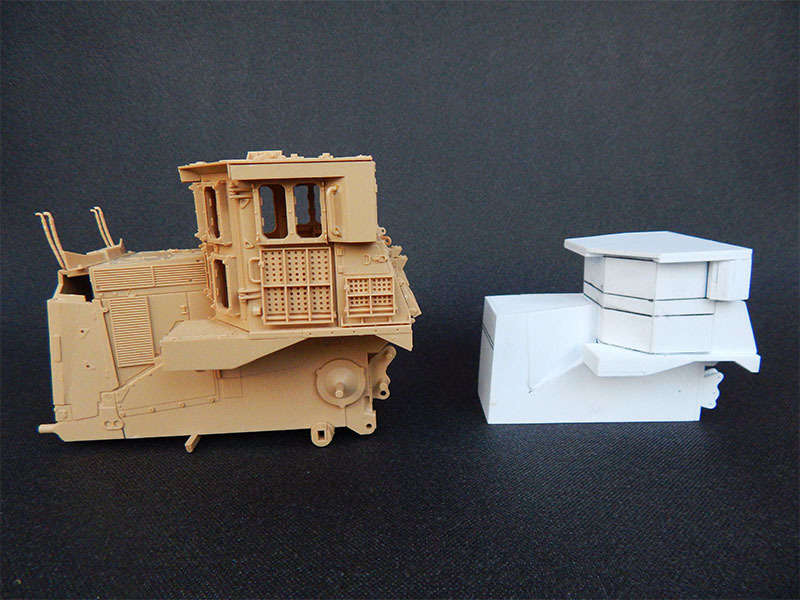 These series are published for modellers, mostly of 1:35 and 1:48 th scale military models, to assist in the reonstruction of 1:1 military vehicles used by the Israeli Defense Forces (IDF). 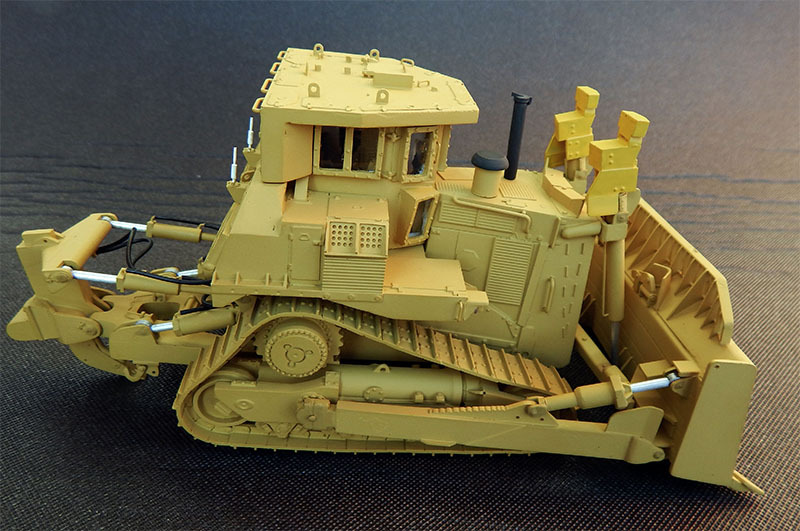 The Book "Doobi D9 Variants: D9 bulldozers in IDF service" is all about the Caterpillar D9 Bulldozers D9L - D9N - D9R and it even includes already 2 photos of the Caterpillar D9T in military version. 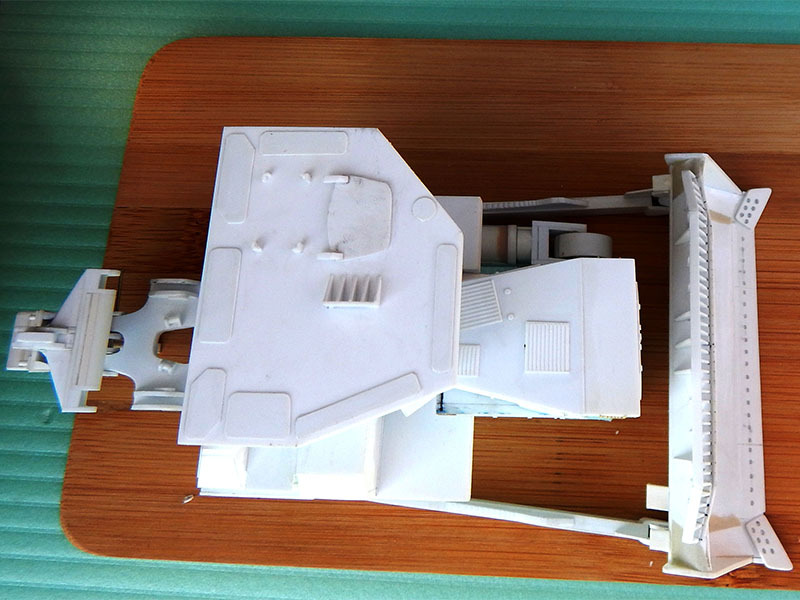 The book is 80 pages long and contains more than 200 color photos. 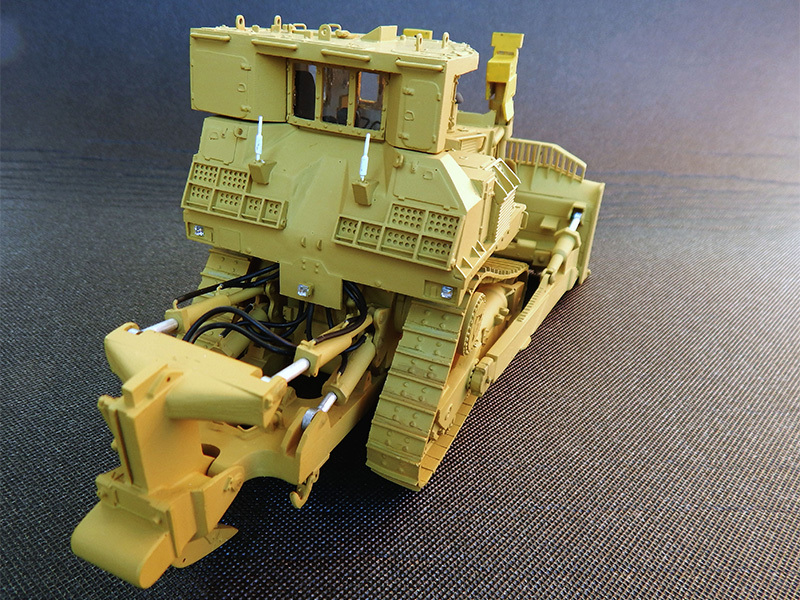 In this book there is a lot of attention for the Caterpillar D9R and therefore ideal for research for this custom project in 1:48th scale. 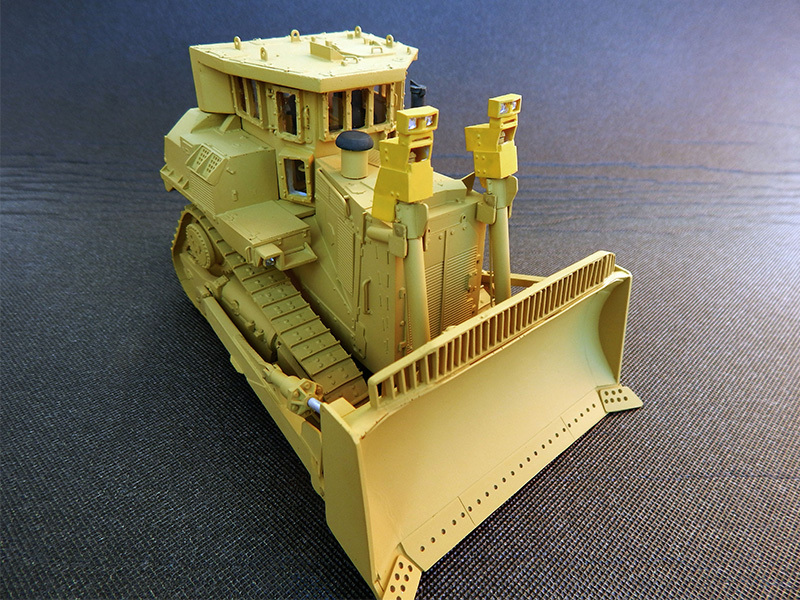 But given the availability of Caterpillar D9G, D9H, D9N, D9L, D9R D9T “donor” scale models in both 1:48 and 1:50th scale, there are also plenty of opportunities for you to custom built the D9 of your own choice and get started. 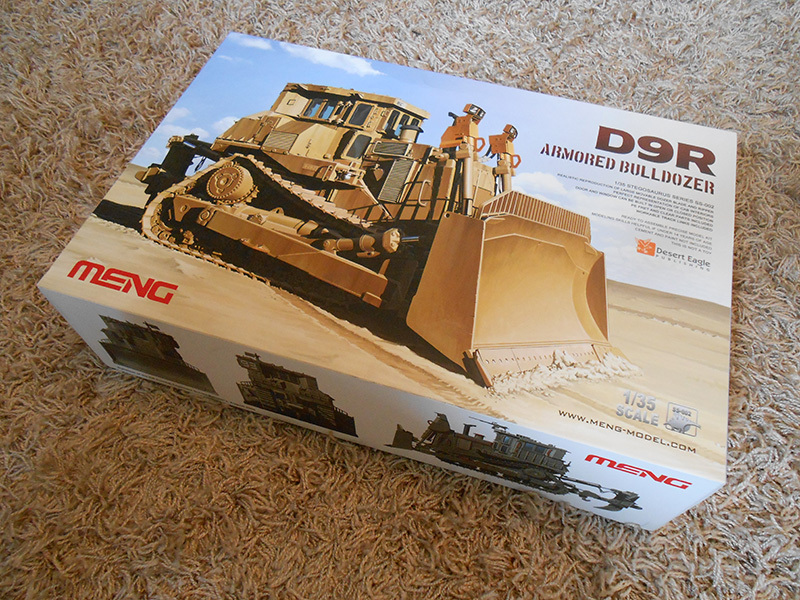 Additionally Ciprian has also purchased the D9R Armored Bulldozer kit in 1:35th scale released by Meng Models and this kit will be simultaneously (partly) built and is therefore a perfect reference in terms of design, dimensions and proportions for his project in the 1:48th scale. 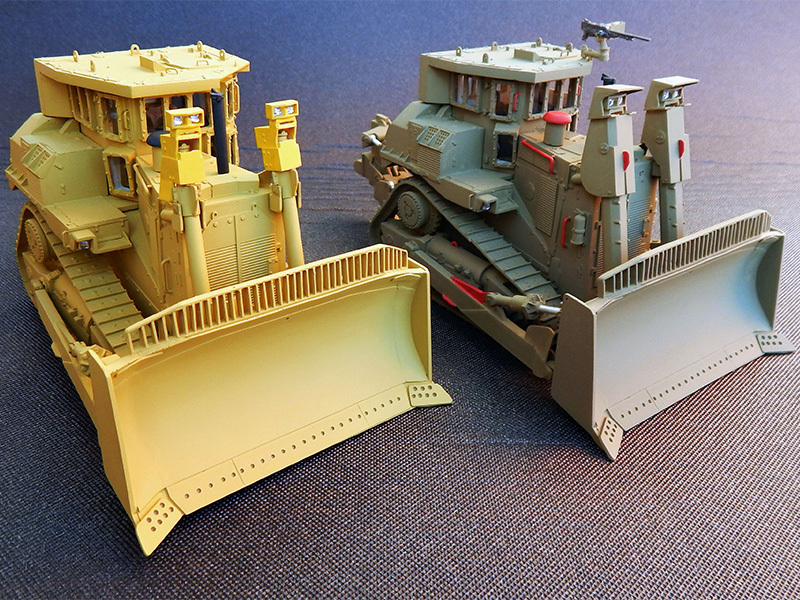 Ciprian Ursulescu heeft na het maken van de eerste opzet van de bovenbouw verder gewerkt aan het verfijnen van de cabine en het rupsdozer blad. 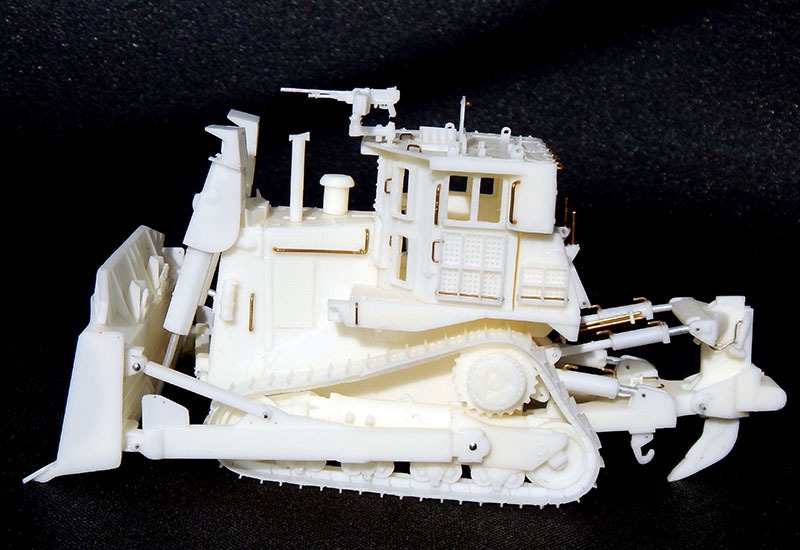 De eerste ruwe "blokkendoos" vorm krijgt nu al de kenmerkende ramenpartij van de cabine en ook is hij gestart met het ontwerpen van het rupsdozer blad en deze bijvoorbeeld al voorzien van de snijmessen aan de onderkant. 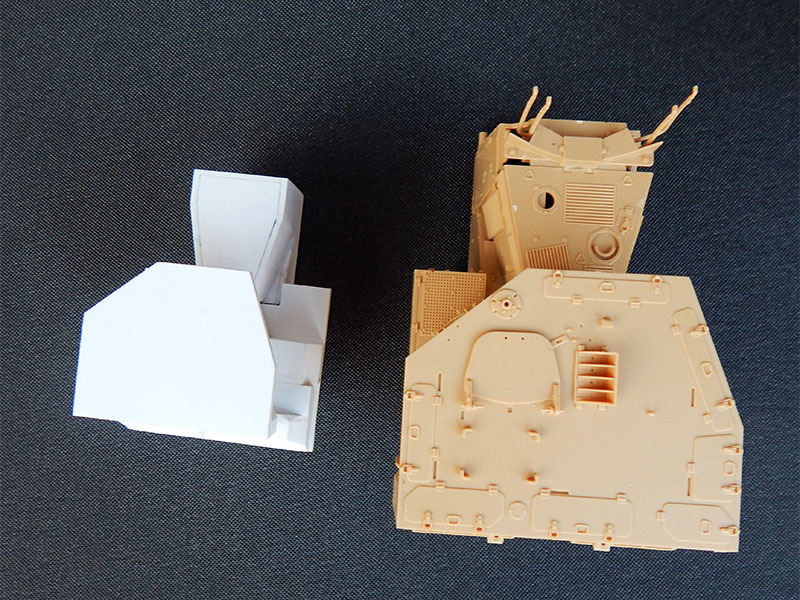 Dit wordt mooi! 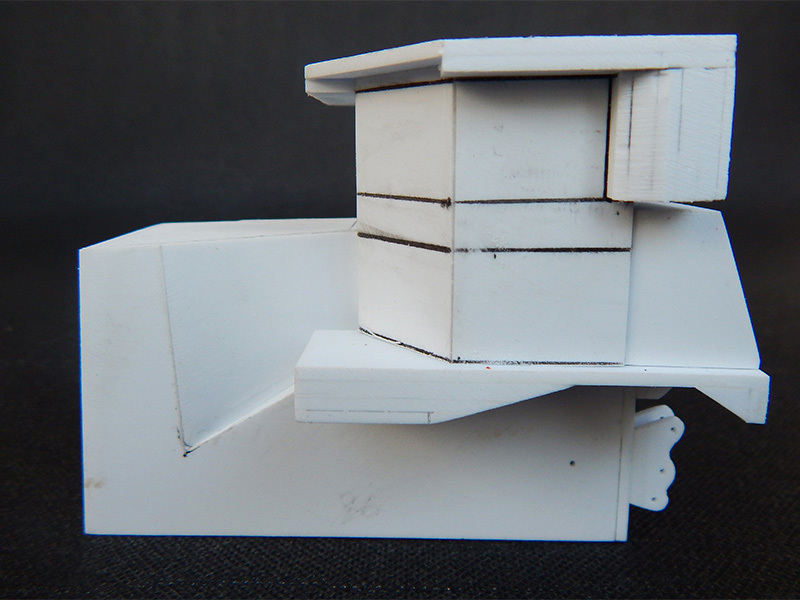 Slowly but surely approaches the by Ciprian entirely hand-built master its completion. 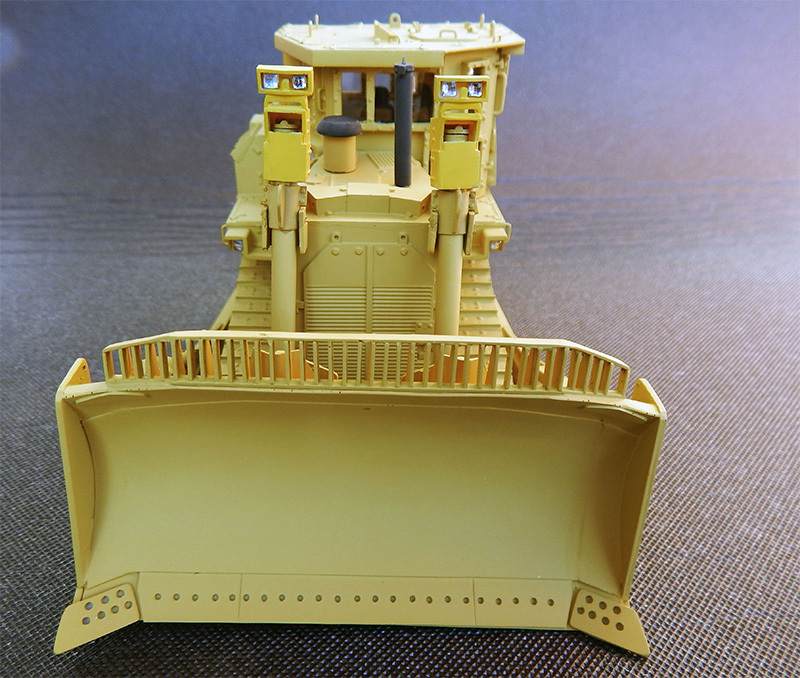 The characteristic details that DOOBI D9R distinguished from a standard Caterpillar D9R Track-Type Tractor become more and more visible. 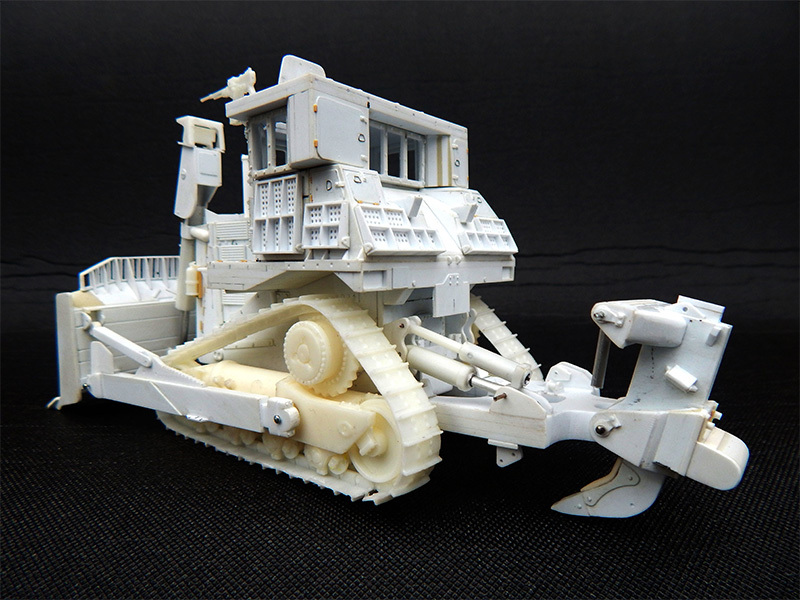 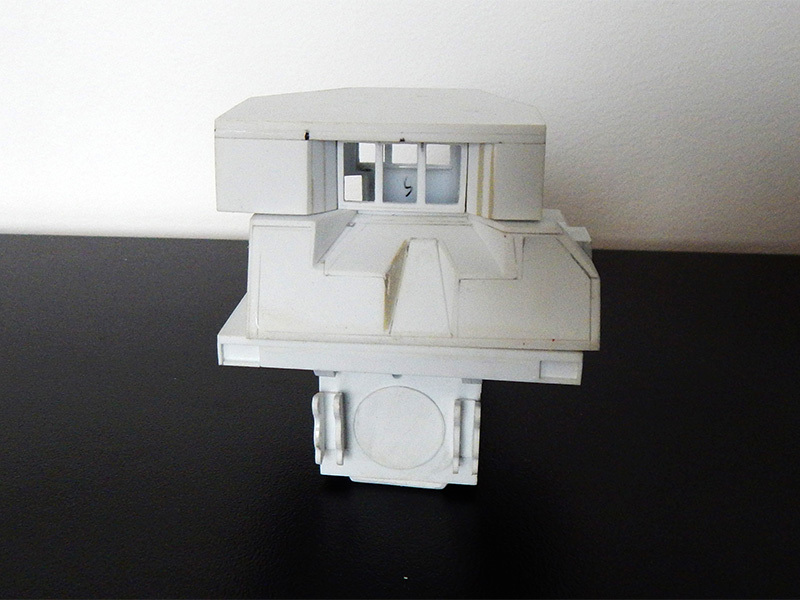 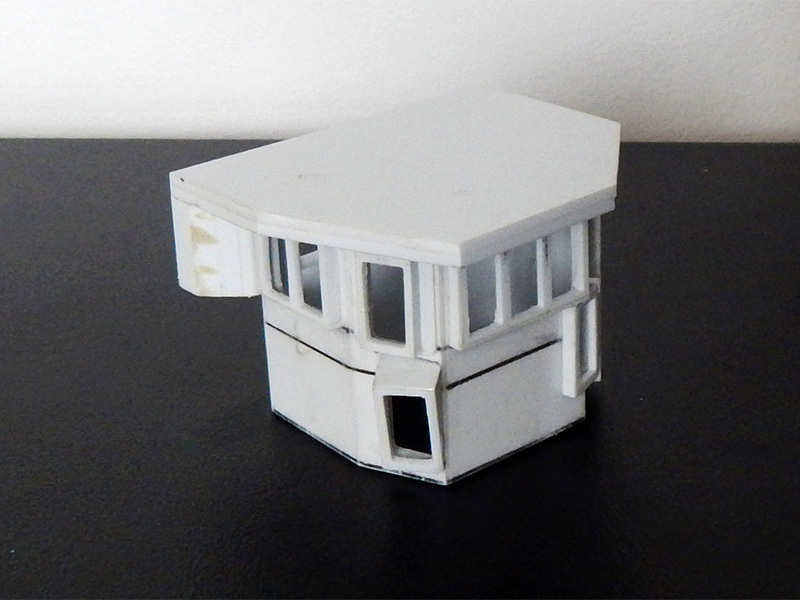 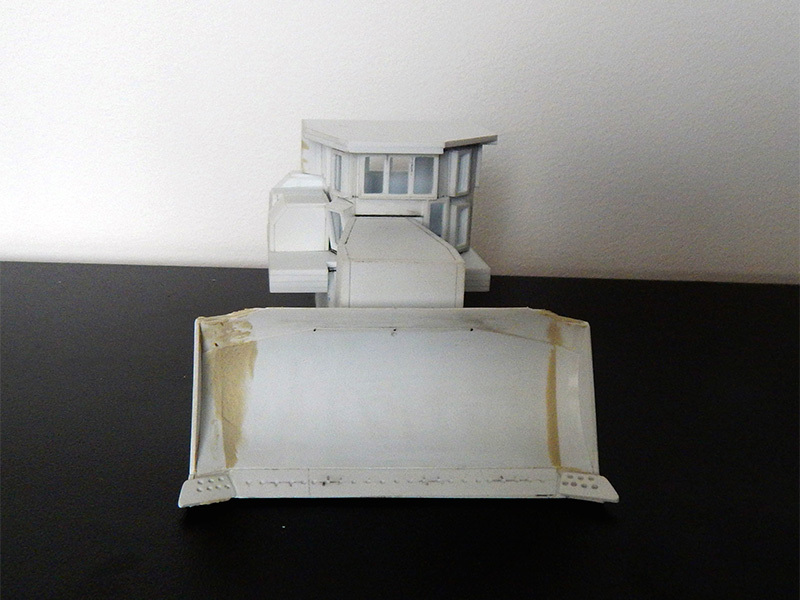 The first pictures of the pre production scale model of the DOOBI D9R that is built and composed of the molded resin parts decanted from the molds that are made based on the prototype. 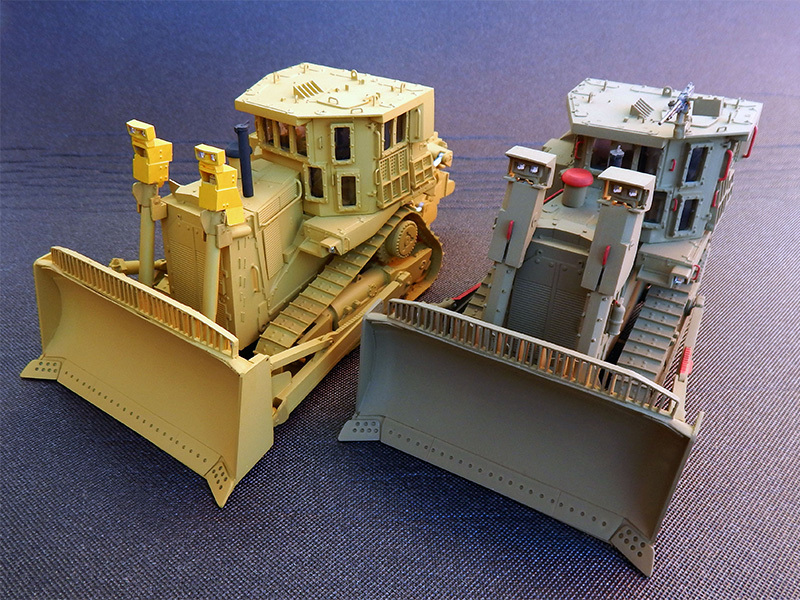 The pre production scale model of the DOOBI D9R IDF Military Bulldozer in 1:48th scale is completly finished in the colors of the Israel Defense Forces version. 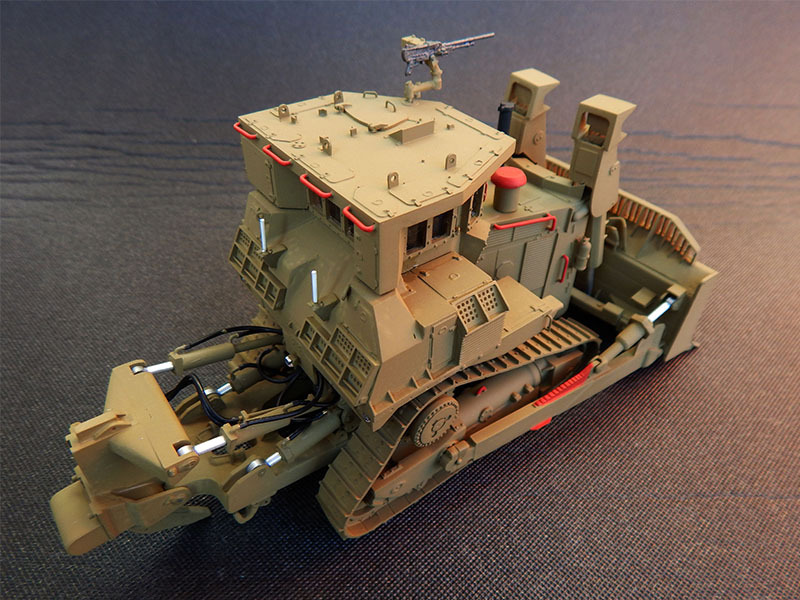 Ready for action and ready for sales. 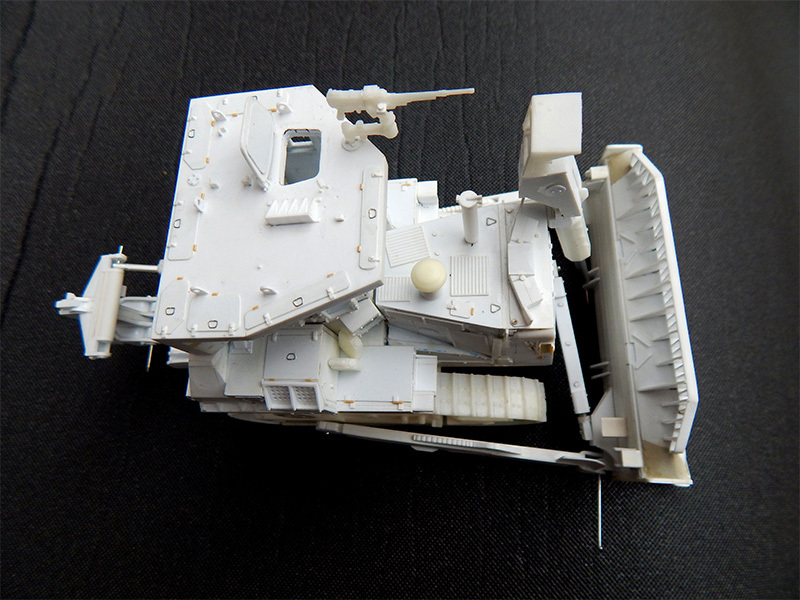 To order your built model or kit contact CypModels. 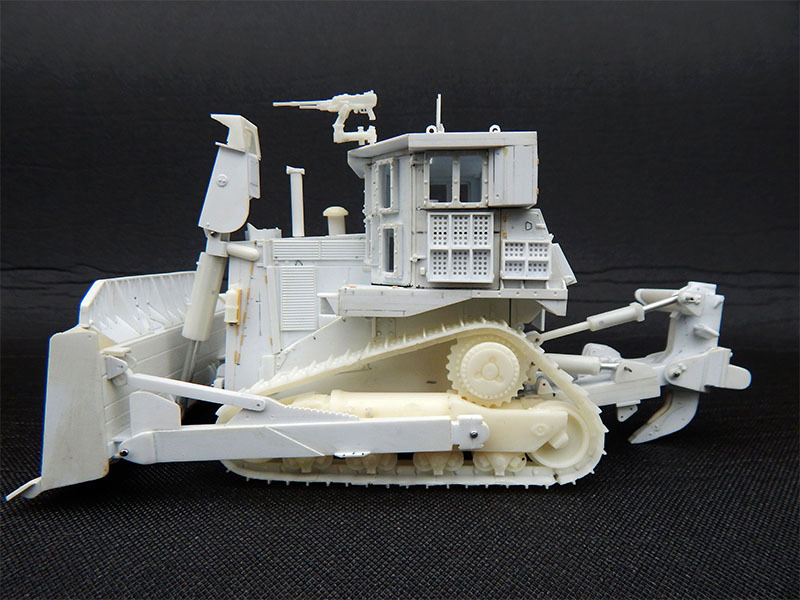 This next knock out model of the DOOBI D9R Military Track-Type Tractor will be available in very limited numbers for serious collectors only.